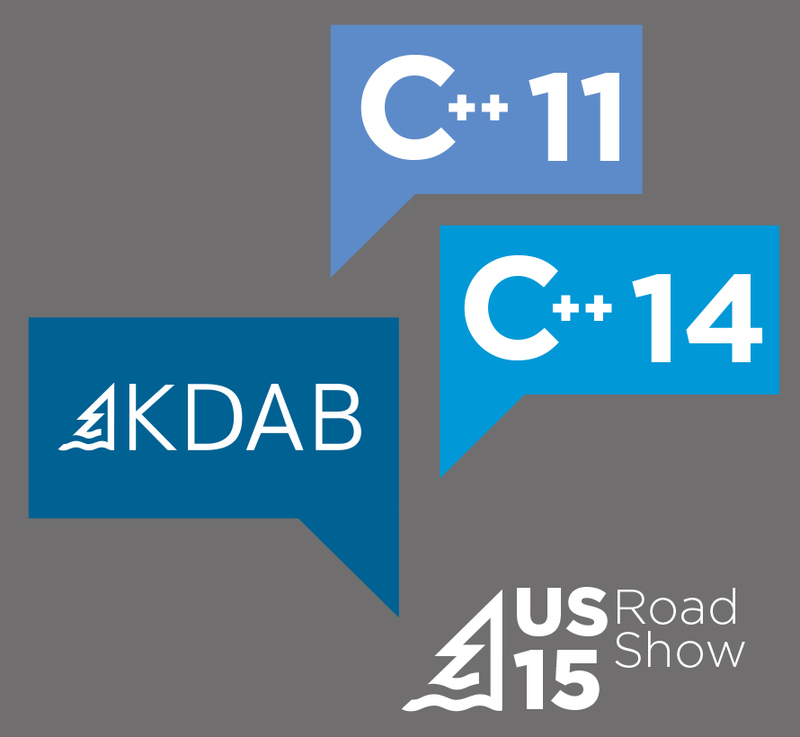 In September, well-known software trainers KDAB, will visit Boston, Chicago, Austin and the Bay Area with a 2 day training class designed for seasoned C++ users on “What’s new in C++11 and C++14?”. The importance of C++11/C++14 in the C++ ecosystem is growing fast and inevitably will become the version most used before long. Every professional developer should invest in learning it and introducing its benefits into projects. C++11 and C++14 bring a large range of new features that make development safer, faster, easier and more fun. Once you have tried features like lambda functions, range-based for loops, the auto keyword and the new initialization syntax, you won’t want to go back. You will also learn many more advanced features like variadic templates, rvalue reference and of course the new standard library additions like multithreading classes, smart pointers, regular expressions and new containers and algorithms. Course topics include both the language and the standard library changes introduced in C++11, as well as the changes from C++14, all of which changes are clearly marked in the material in case you do not yet have a C++14-capable compiler. See the table of contents for the detailed list. This compressed, in-depth 2 day training covers all the topics you will get from our regular 3 day training, so bring your laptop, and be ready for an exciting ride. Sign up now and give your C++ knowledge a gigantic boost.